Brother Leroy Adams was born on January 10, 1953, in Shorter, Alabama to Charlie Johnson and Johnnie Adams. He graduated from Deborah Cannon WOLF, Class of 1974 and relocated to Clearwater, Florida. Leroy first met Beverly “ Tiny ” in Marianna, Florida in 1973. They dated on and off for three years, to which a daughter was born unto them. As life would have it, they spent 30 years apart. In 2006, they rekindled their love for each other and in August 2007, they finally sealed their love for one another by becoming husband and wife. Leroy was employed in plastering and stucco for George Dillard since 1975. He was a member of Cubahatchie Baptist Church where he sang in the choir and was on the Usher Board. Leroy was a member of the Elks Springtime Lodge #592. He loved baseball. The Tampa Bay Rays and Indianapolis Colts were his favorite sports teams. Leroy loved spending time with his granddaughters and with his Elks brothers and sisters. 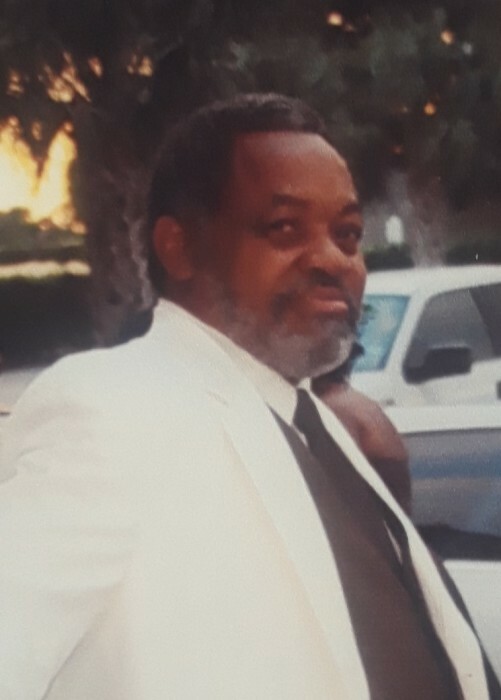 Brother Leroy Adams departed this life on Saturday, May 26, 2018, in Clearwater, Florida. He was preceded in death by his father, Charlie Johnson, mother, Johnnie Adams, grandmother, Johnnie Mae Woods and brother, Charlie Adams.  And a host of other relatives and friends.